It all began with a stag party skit, which explains the madcap, innuendo-filled, my-uncle’s-got-a-barn quality that blessedly remains, despite Broadway spit-and-polish. Bob Martin was being primed for his marriage to Janet van de Graaff. The skit morphed into a show, with Martin joining the writing team and creating a beloved character, Man In Chair, for himself. A show within a show, this Man chats up the audience, coaxing them into listening to an LP of a musical he loves, “The Drowsy Chaperone,” and like “Brigadoon,” the show materializes, ostensibly celebrating the impending nuptials of, wait for it, Robert Martin and Janet van de Graaff. “Chaperone” uses stock, post-vaudeville musical theater characters: a British butler, a Broadway producer with his ditzy girlfriend who wants to be a star, a pair of singing, dancing gangsters, and an Ethel Merman role, the chaperone herself, written for an actress who insisted on essaying a “rousing anthem” in every show. 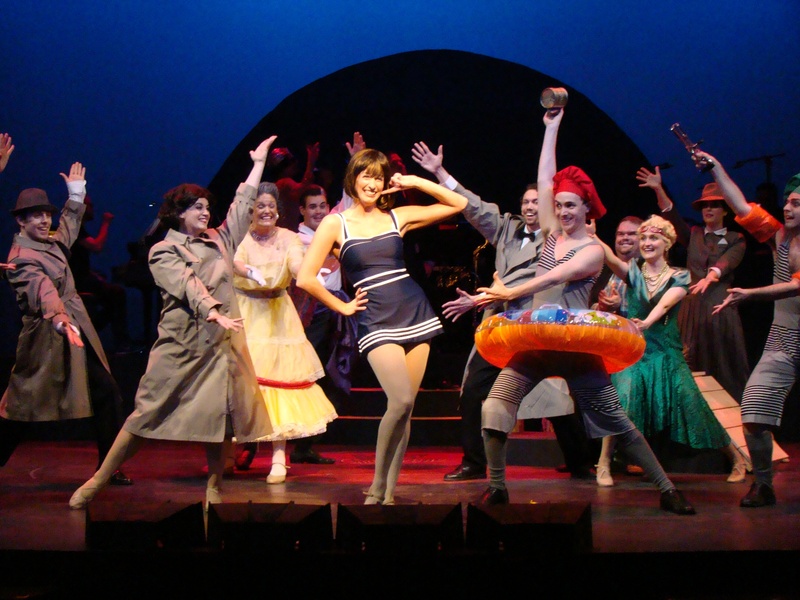 “The Drowsy Chaperone” ran for 674 Broadway performances, and received multiple Tony Awards. Metropolis Performing Arts Centre keeps the spirit of the original production delightfully intact. Resident director Lauren Rawitz and choreographer Jennifer Cupani keep the pace sprightly, and the movement period-perfect. Every player is terrific. Debbie DiVerde’s Chaperone is blowsy and lovable, Shari Mocheit is a force as Janet, and Ryan Dooley is production-tenor perfect as Robert. Brett Baleskie’s Aldolpho is beautifully, slimly, gorgeously dumb, and he sings the rangy role easily. Erin Long’s chorine rivals Lesley Ann Warren at her helium–sucking zaniest. The finest all-around performance is from Jake Stempel, as the harried best man; Stempel has the ticket to a large Chicago career. Metropolis Performing Arts Centre, 111 West Campbell, Arlington Heights, (847)577-2121, MetropolisArts.com, $38. Through June 14.